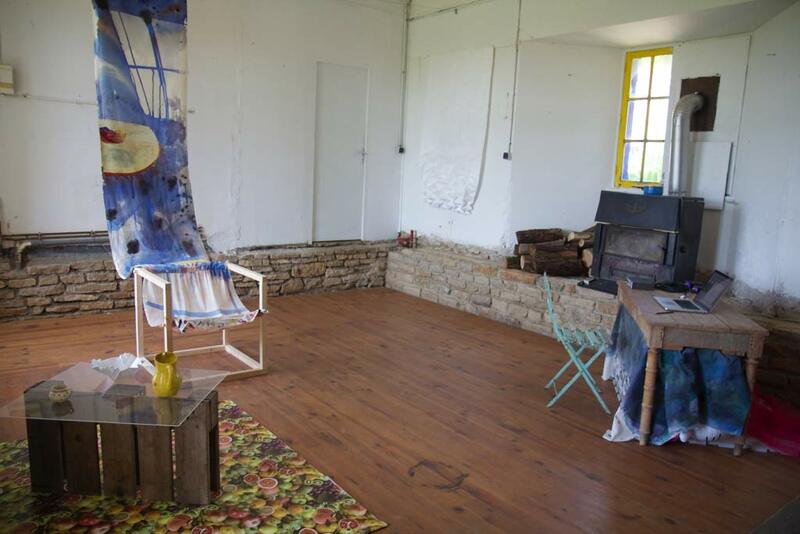 This installation was created in collaboration with painter Angelina Gualdoni at Le Château de Monthelon in Burgundy, France. 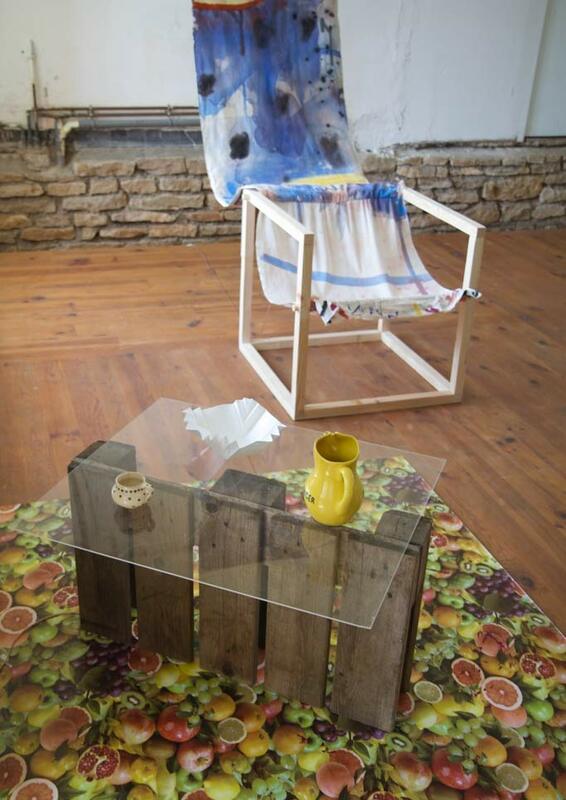 The installation was an early attempt at constructing a physical space that has a plurality of function reflecting our increasingly overlapping labor roles - a hybrid live/work space that reflects the complications and multiplicities of the domestic space as office, as studio, as playroom, as leisure space, as display. Using artistic lineages forged by the multiplicities of production of artists such as Sonia Delaunay, Mary Heilman, Marc Camille Chaimowitz, and the Tropicalia movement, we want to remove the idea of cultural creativity from the realm of production and documentation (under the logic of capitalism) and return, for at least a while, to a space of deep hybridity, co-operation, education and leisure. More simply, we wanted to create a space not designated to a singular labor function, but reflecting our complete selves as art laborers, educators, caregivers, partners, etc.. 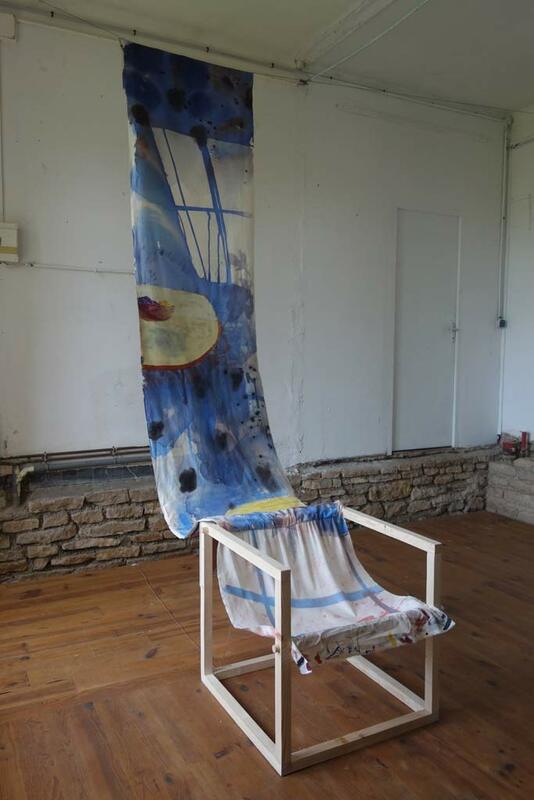 The primary focus of the installation was a chair constructed out of a painting that also functioned as a speaker. 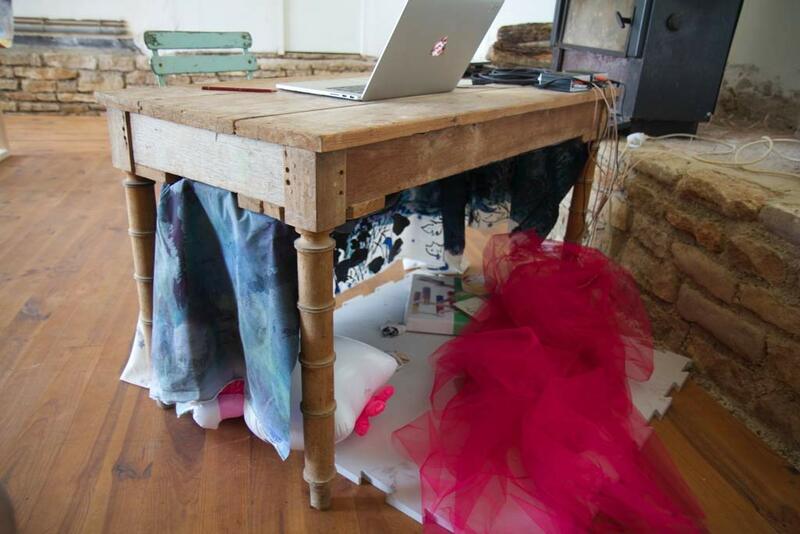 Another highlight was a work table with a child’s small place space (and painting) under it. Other pieces included arrangements of repurposed objects. A work palette becomes a table as well as a speaker, with an origami bowl placed on top (which could be refolded into numerous other forms).